The Scout section has been developed for young people (aged 10½ to 15). Boys & girls typically come to the Troop from Wolf Cubs or join at 11 and progress through Scouts until they are 15 years old – when they join Senior Scouts. A Scout takes part in a variety of events and activities during their Scouting career & progress through a series of badges that show ability and skill whilst developing self confidence. The aim of badge work is to show the Scout’s achievement through challenge, recognition of skills outside of Scouting & activities run within regular weekly meetings; & develop new skills to equip him or her for life. The badge scheme also runs in parallel to the Duke of Edinburgh’s Award, so Scouts can access their Bronze, Silver & Gold Awards as part of the B-PSA. An important part of Scouting is giving the Scout the opportunities to consider their own attitude toward others & themselves. Scouting is about teamwork, adventure & friendship. 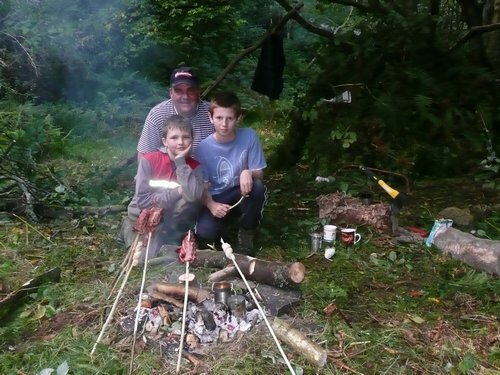 A significant part of the Scout programme revolves around the great outdoors; using skills learned to enjoy camping, hiking, survival and cooking. Scouting also provides those who attend with the opportunity to take part in an array of adventurous activities, from climbing & abseiling to kayaking & canoeing. Many Troops travel to international camps (Jamborees) & enjoy camping in the backwoods. To find out more about what we do, check out the Scout Programme!